Adding to the steadily growing lineup of Android 9 Pie devices, HMD Global (the company now leading the charge of Nokia-branded phones) is finally rolling out the stable update that brings the latest flavor of Android to Nokia 7 Plus owners. The Finnish giant had been testing Android 9 Pie on its popular mid-ranger, the Nokia 7 Plus, ever since the OS update was announced at Google I/O 2018 earlier this year. HMD Global pushed out the final Android 9 Pie beta update to users a couple weeks ago and it seems like Nokia 7 Plus owners, like me, can now rejoice that the stable Android 9 Pie update is here at last. 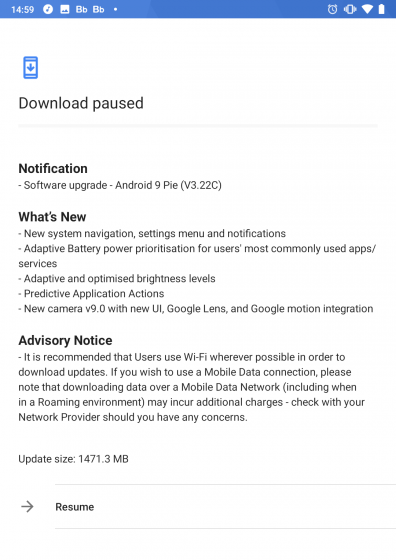 The Android 9 Pie stable update, which carries the build number V3.22C, weighs in at about 1.4GB in total and it does take some time to download and install, so be patient. We’d been testing the beta builds and the stable update appears to be free of any bugs, and glitches up until now. As pointed out in the tweet (and screenshot) below, Android Pie arrives with “a plate of new features” to Nokia 7 Plus and this includes features such as the new colorful design, outlined icons, dark theme, gesture navigation that I’ve been trying to get used to since the beta, and all of your AI-powered goodness including Adaptive Battery, Adaptive Brightness and App Actions. 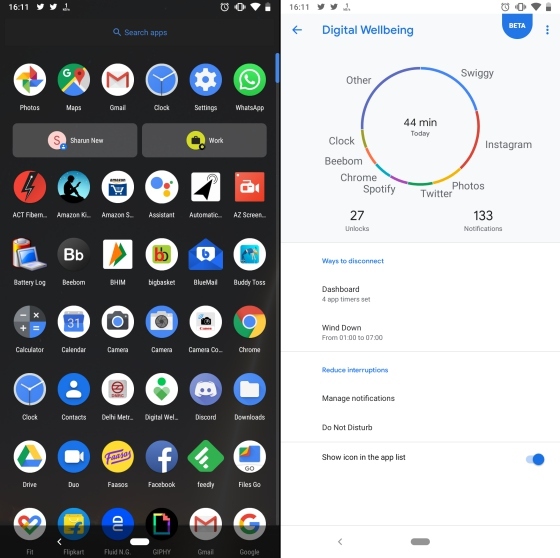 The highlight, however, would have to be the fact that Nokia 7 Plus is the first non-Pixel device to get access to Google’s Digital Wellbeing tools that are currently being tested in beta. It recently arrived to the device with a Play store update and users couldn’t be any more excited to try and curb their smartphone addiction with useful insights. 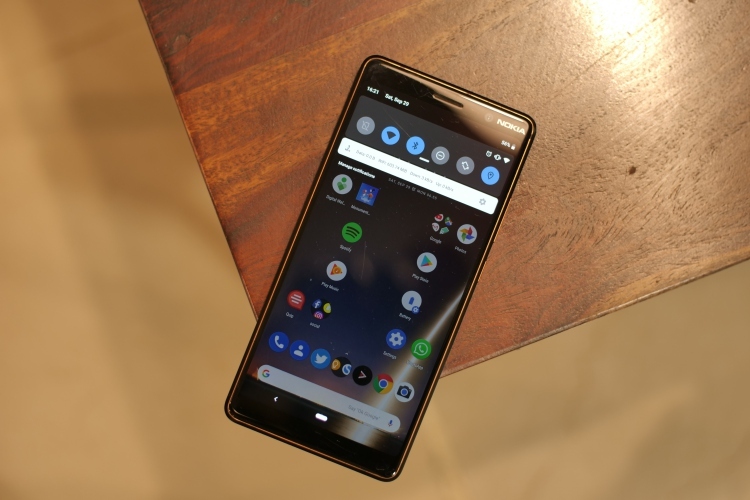 While Nokia also points out that the stable update brings along a new camera UI, Google Lens, and Motion integration, but the same arrived on the device about a month now. It was pretty buggy at the time and we’ll have to test out the update a little extensively to know better. Even if the update has arrived a little later than expected, the Nokia 7 Plus now joins the likes of Google Pixel lineups, Essential PH-1, and OnePlus 6 to be running Android 9 Pie. Have you received the stable update on your Nokia 7 Plus yet? If yes, let us know your experience with the latest flavor of Android until now.